Strategic partnership provides key set-top metrics for a new ZCorum diagnostics application utilizing data from FourthWall Media’s MassiveData DMP. Alpharetta, GA and Dulles, VA (October 3rd, 2017) – ZCorum and FourthWall Media announced today they have formed a new, strategic initiative to deliver needed set-top box diagnostics to cable providers looking for ways to increase efficiency and reduce operational costs in their video operation. 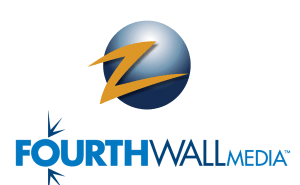 ZCorum, an industry leader in the deployment of diagnostics tools and managed services for broadband providers, will integrate set-top box diagnostics data into a diagnostics platform utilizing FourthWall Media’s MassiveData® DMP service. FourthWall Media is the largest independent source of cable set-top box viewing and diagnostic data. report on viewership data for almost a decade. Using those same reliable platforms, we will combine our diagnostic set-top box data with ZCorum’s best-of- breed tools to help MSOs serve their customers and run their businesses even better,” said Mike Israel, COO at FourthWall Media. supply ZCorum diagnostic data to form a unique product that drives efficiency, service, and profit for MSOs,” said Tim Peters, CEO of FourthWall Media. MassiveData® DMP and Reveal™ Analytics Platform combine to collect and deliver census-level second-by- second viewing and diagnostics data that enables actionable messaging, measurement, and analytics for operators, programmers, agencies, advertisers, researchers, and analytics firms. Unlike traditional measurement companies, FourthWall Media works closely with cable operators by providing its MassiveData® DMP technology and services that collect and process ultra-precise TV viewing and diagnostic data. FourthWall Media is headquartered in Dulles, VA and can be found online at www.fourthwallmedia.tv.